Last week I attended an International Federation of Agricultural Journalists’ (IFAJ) event in Dublin and had a very fortunate opportunity to hear how the Ireland sees the UK’s departure from Europe, and its impact on Irish agriculture and trade. One of the speakers we heard from was Simon Coveney, the Tánaiste (Deputy Prime Minister) for the Republic of Ireland (RoI). Mr Coveney, an agriculturalist by training, had previously held the position of Minister for Agriculture, Food and Marine from 2011-14, during which he played an integral part of the last CAP negotiations under the Irish presidency of the EU. My overriding takeaway from what he said is that Ireland needs the UK; 38,000 Irish companies trade with the UK, employing 200,000 people, or 10% of the Irish workforce. Ireland desperately needs a continuation of what they have now, a ‘political’, not a physical border between the north and the south. This is vital not only for the trading of goods, but crucially for the endurance of Irish peace which is perpetually fragile. There is an ‘all island’ economy in Ireland with seamless infrastructure and agriculture is the best example of this. 38% of Northern Ireland’s (NI) milk gets processed south of the border as do half a million of NI’s lambs, hundreds of thousands of RoI’s cattle are taken to NI for finishing; finally, for every sheep that comes south, it meets a pig heading north for further processing. Coveney described beef as the foundation of agriculture’s existence in Ireland. The country has 125,000 farming families, 100,000 of which produce beef and 60% of these families earn 100% of their income from it. 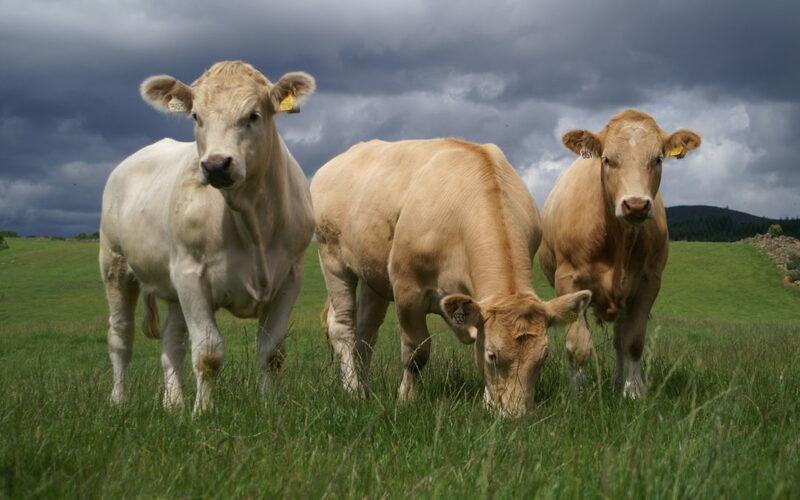 90% of Irish beef is exported, half of this is – worth €2bn – to the UK, 45% goes into EU markets and 5% elsewhere. What’s also important is that 50% of what’s exported to the EU from Ireland goes through the UK as a ‘land bridge’. When you listen to the Irish views, it is wholly understandable why Ireland is a special case, why they want the right deal and just how much the decisions made affect their farming and food future. However, they are not alone – all of these issues are arguably even more important to us here in the UK. Jane is a Chartered Marketer with over 25 years’ experience in marketing within the agri-food sector. She is a member of the executive board of the International Federation of Agricultural Journalists and the council of the British Guild of Agricultural Journalists. Jane is a graduate of the IAgrM and Scottish Enterprise Rural Leadership Programmes, is a Windsor Leadership Alumna and a Waitangi Scholar.